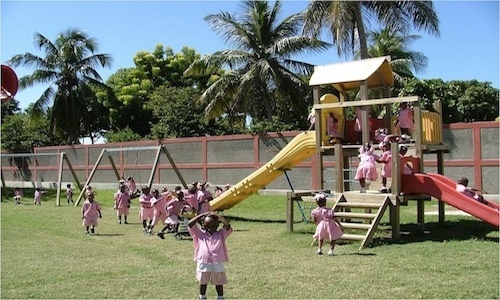 The children’s village consists of 12 apartments each capable of 10 to 14 children. Currently we have more than 150 children housed with us. Their day begins at 05:30 with a good shower and come along with prayer and Bible reading. Between 07:00 and 07:30 it’s time for breakfast before going to class. School is from 07: 30-11: 00. After school, the children returned to the village and there are steps they carry out their duties and housework until 16:00, the hour of recreation. After dinner there is a potential to do sports or to attend a Bible study. 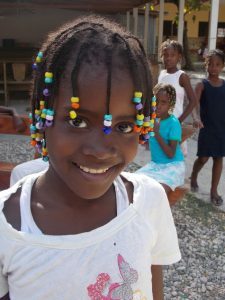 All this to prepare our children for Heart of Haiti to live outside the village itself and to build a life. The Foundation prepares them to become adults in a country where unemployment is around 60%. Because of the education they follow they have special advantages in the labor market.